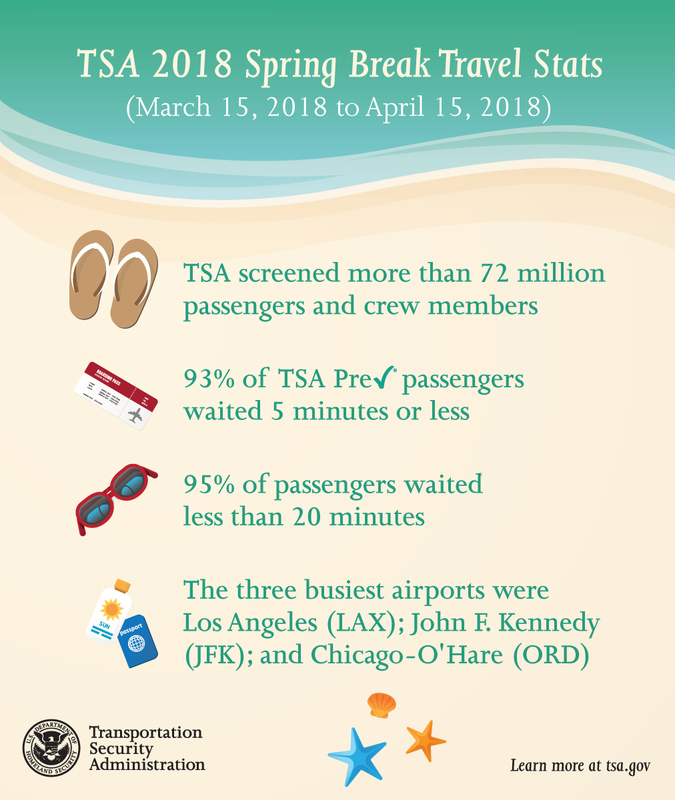 The Transportation Security Administration (TSA) set another screening record during the 2018 spring travel period, March 15 through April 15, with more than 72 million (72,137,639) passengers and nearly 45 million (44,698,036) checked bags screened nationwide. 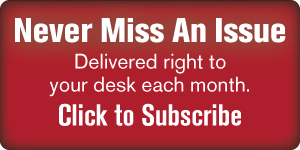 This represents an almost 5 percent increase over the same period last year. 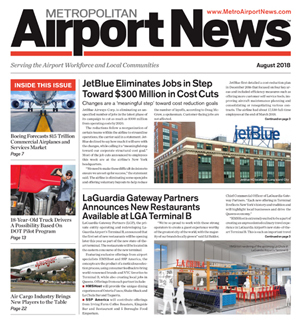 The enhanced screening procedures for carry-on baggage, which began at a handful of airports in late summer 2017, are a part of a greater effort to raise the baseline for aviation security. The measures require travelers to place all electronics larger than a cell phone in bins for X-ray screening in standard lanes. 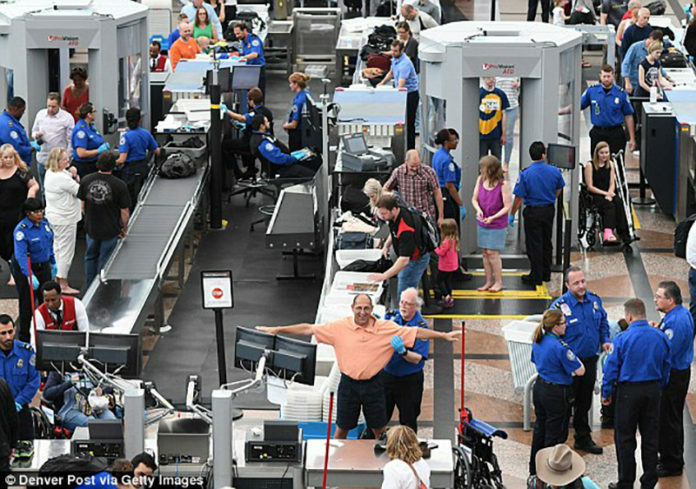 Travelers also may be asked to separate dense foods, powders and other items to allow TSA’s screening officers to obtain a clear X-ray image for security purposes. 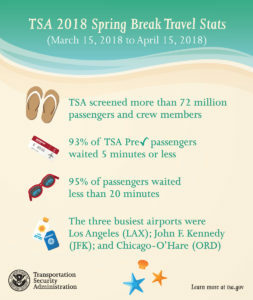 Although the volume of individuals screened was notably high, 95.3 percent of all passengers waited less than 20 minutes at the checkpoint and nearly 93 percent (92.5) of passengers who were in a TSA Pre✓ lane waited less than 5 minutes.